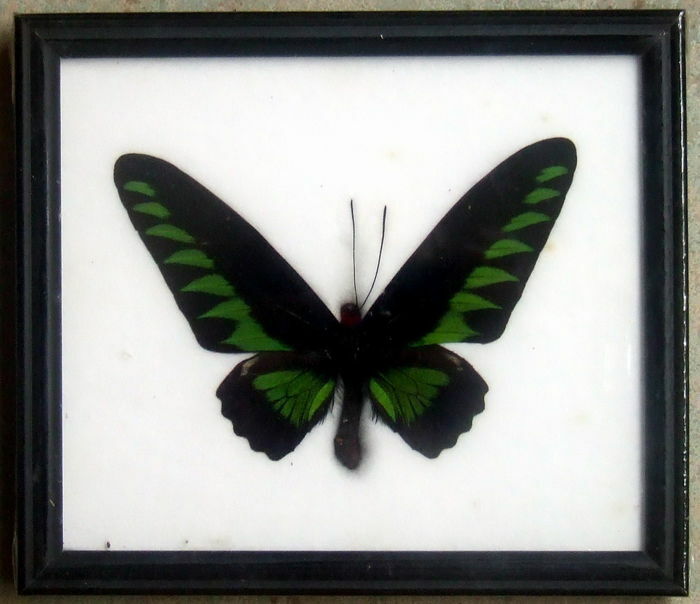 Exclusive subtropical butterflies in wooden frames – 20 cm by 17 cm (3). 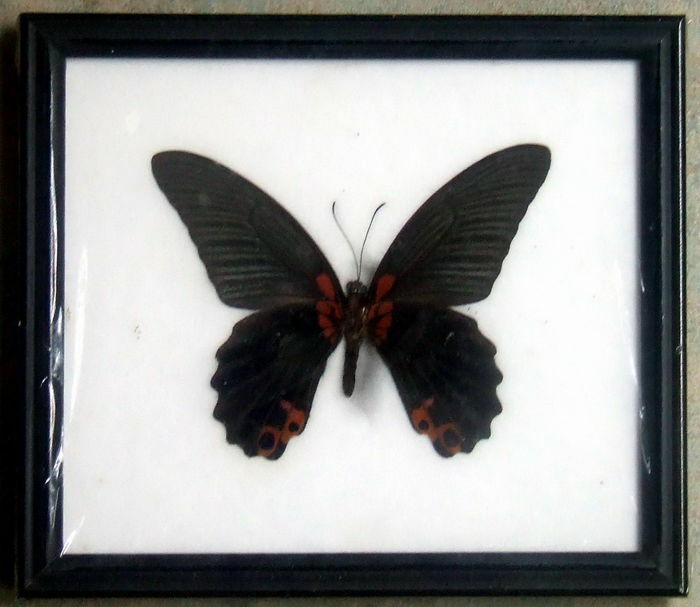 A very nice and colorful collection of two butterflies. They are both mounted in identical black wooden frames of 20 cm by 17 cm (3). The names, English and Latin, are written on the back of the frames. 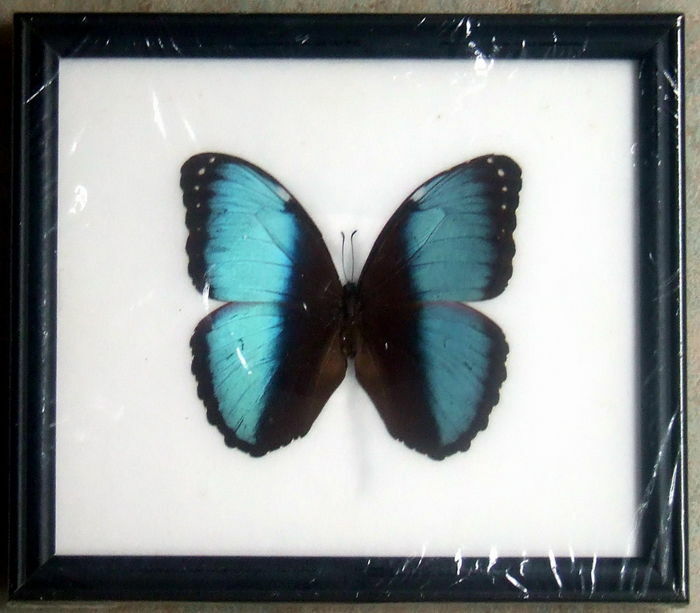 This set contains the Blue Stripe Morpho, the Brookiana and the Great Mormon.